A post on rug pads? Wow, could we get a more boring topic? Probably, but I can't think of a good rival that would beat it at the moment.... Maybe something about how dust bunnies form, or something else mundane like that, but well, that would be boring and pointless. This post on rug pads is not pointless, because who knew that a rug pad was so important and could actually make a difference in your life? I didn't. But that all changed when I was emailed by a random, really nice guy from rugpadusa.com who in essence asked, "Wanna try out some rug pads and let me know what you honestly think of them?" Before this I had never been contacted by a legitimate company asking me to try out a product for free. I thought this guy was just like all the other scammers, but something seemed different so I wrote him back. Boy am I glad I did, because he was not only legitimate, he and his company rocked on customer service, and their rug pads actually rock too. Who knew rug pads could rock? After trying out two different kinds from their company, I can safely compare them with the ho hum rug pad I purchased from Walmart, that I initially didn't realize was so ho hum. Today I would like to share why your rug pad actually matters, and at the same time save you money! Reason #1: Do you have a rug on carpet? There's a solution for holding it in place! Before we moved into the house we are in now, we bought a thin rug from World Market. It tied our room and the room's colors together perfectly, and I just loved it's fun color and stripes. What I didn't love, was that rug tape and rug pads are meant for rugs that are on tile or hardwood, not carpet. In our last house it moving around wasn't an issue because our furniture held down the rug's corners. In our new house, the furniture is arranged differently, and thus it is always getting wrinkled and moving all over. First world problem I know, but so frustrating. I took this picture randomly. This was how it looked on a good day. Normally the bottom right corner would be completely flipped over on itself, and large bumps and creases all over the rest of the rug. 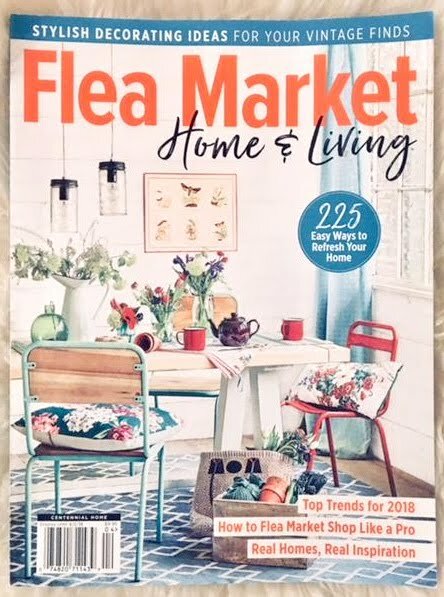 I had to post on instagram that I got my first freebie in the mail due to having a blog. So exciting! And what an exciting thing to get for free! Weird that rug pads could be so exciting! Although you see it move, none of this was staged or altered. 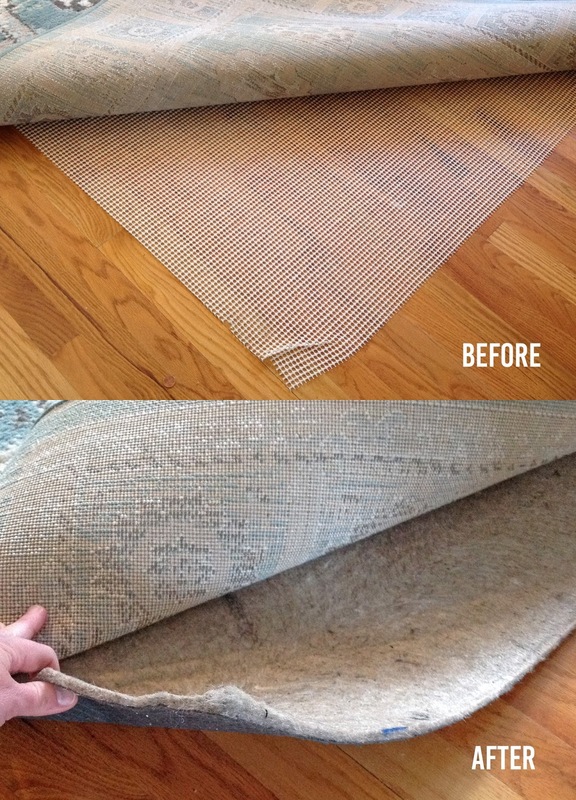 Before the rug pad, that rug would have been all.over.the.place. With the rug pad I barely had to fix it after they all went to bed. (Don't mind their crazy PJ choices...I've given up hope of dressing them the way I like). 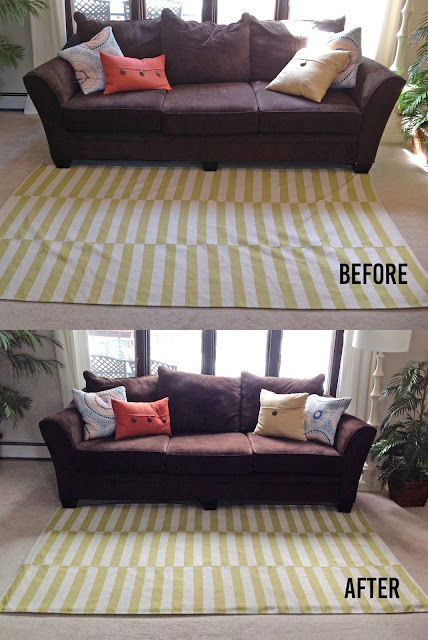 When we first moved to our new place about 6 months ago, I bought an 8'x10' rug from rugsusa.com. Surprisingly these two companies are not affiliated with one another, (at least I don't think they are), and I did not get asked to review their company, but I have to say I do love their company. Fast, free shipping, amazing prices and amazing selection. But enough about the rug. After buying the rug for a little more than $100, I didn't want to spend more money on a rug pad. I had never lived in a home with hardwood floors, and figured I just needed a rug for the comfort, and to give "warmth" to the living space. Well I found out rug pads are important, so I bought a regular rug pad off of walmart.com. I took the above picture right before switching over to the new pad from rugpadusa.com. Now this is the rug pad we have now, the Superior Lock. Not only does it have rubber underneath to hold it in place on the slick wood floors, but it is way more padded compared to what we had before! I chose the Superior Lock pad because it has the most "gripping power" and comfort, that their company offers. If I could choose any rug pad, why not go for the best one for hardwood floors? Initially I could tell a difference right away. The comfort was amazing compared to what we had been walking on before. I didn't tell my husband or kids that I had changed anything, and waited for them to notice, but only my husband eventually did, (I don't know what I was expecting since boys can be so oblivious most of the time). One thing I am not a fan of is that one of the corners of this rug always flips up a little. Now that we have a thicker rug pad, it makes this annoyance even more noticeable. I will have to see about maybe getting rug tape for this corner, something I have been avoiding. Even though I was contacted by them, I know that their customer service goes above and beyond for every customer and potential customer. They have live chat on their website to answer any questions, and when I emailed them with a ton of annoying questions, they emailed me back in what seemed like 10 minutes! There are so many rug pads to choose from that you can get the kind that is best for your floor type, and the purpose you are using it for, (like ones that can handle spills well and protect the floor underneath from being damaged), but then they also ask for your rug's specific size. Unfortunately the first pad that came for one of the rugs was too small. Within 10 minutes of finding that out, they had another one coming my way that fits wonderfully. To get a custom pad for your rug with amazing customer service is pretty awesome. I can still remember the toxic smell that accompanied opening up the basic rug pad I bought off of Walmart.com over 6 months ago. I am not picky about things like this, and didn't give a second's thought to what could cause this smell, but when I opened up the package of the two different kinds of rug pads from rugpadusa there really wasn't a smell at all. Seriously, I am wracking my brain to remember if there was even a smell...I do remember thinking, wow, it doesn't smell bad, but I am trying to think if it even smelled? I don't think it did! On their website it says, "We take rug pads to the next level. From recycled felt to natural rubber, RugPadUSA sources only the best materials available for our rug pads. We use only ethically sourced materials - free of chemicals glues, bonding agents, or adhesives." Their rug pads really are made well and don't stink, that's a win in my book. "During this period, if you feel your rug pad is defective, damaged, or rendered ineffective from use you may return it to us for a replacement pad of equal value. RugPadUSA also guarantees that our pads will not stain, mar, or discolor any surfaces if used in accordance with your flooring manufacturer's instructions." Having seen how they work with customers, I do not doubt this promise. Plus to have something like this be guaranteed to last til my youngest son is 23 is pretty insane! If you were like me, you had no idea that a rug pad was really all that necessary. 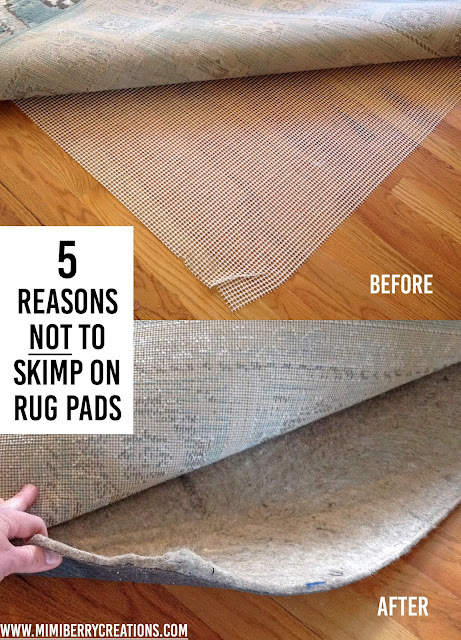 Hopefully after reading these 5 reasons, you have a reason to get a rug pad for that rug that is valuable that you want to preserve, or that rug that moves all over on your carpet, or that cheap rug that is so uncomfortable on your wood, laminate, or tile floor. Who knew rug pads could be so diverse? I sure didn't. I am all about frugality...seriously, that is what I am all about. Hence I bought the $11 rug pad via Walmart.com. (Hence the reason I love Walmart for almost everything else!) However, choosing to get a custom rug pad that is guaranteed to last for 15 or 20 years, will save you money, and be worth it for the preservation factors and comfort. Currently their website has a sale going on already, but the awesome guy who contacted me randomly, offered an additional 5% for my readers by typing in the promo code Mimi123 (I do not get any proceeds from your purchases, just wanted to pass on a good deal to my readers). So click here to take advantage of these savings because they only last until 5/5/2017, and at the same time invest in a rug pad that will make your life better in ways you didn't know were possible.